AdvisoryNetwork provides software solutions for service providers and end users. Service providers supply consultancy services to end users, they need to update their information about services, experience, advisors, and advisory rates per call minute. End users easily find the right service provider, and know the service rate for each advisory minute before consultancy. Consultancy can be done by voice call or video call. Building a separate blockchain system is quite easy for us; however, in order the blockchain system to be stable, especially ensure security, it takes a lot of time to test and fix errors if any. 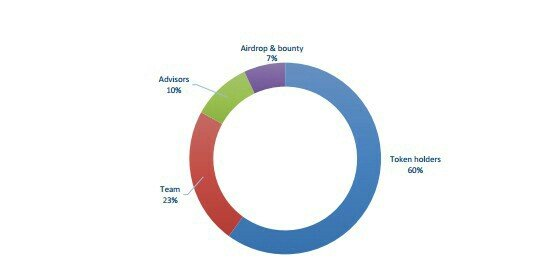 Thus, we decided to use Ethereum blockchain platform, Etherem system that has proven stability and security in practice. Moreover, the difficulty of the Proof of Work (POW) algorithm and the Ethereum consensus algorithm helps solve the security problem well. With traditional applications, a server is used as a back end service for front end tiers, which can easily cause denial of service attacks, security attacks. In other words, this server unintentionally becomes a single point of failure of the system. Therefore, the Ethereum decentralized application is used to help resolve the above limitations. As a result, a backend service is deployed in the form of a smart contract running on ethereum nodes, which enables the service to run non-stopable, prevent the denial of service attacks, and ensure the sercuirty at highest level. Decentralized applicaton provides minimal service while still ensuring the system can operate without a centralized application. Centralized application provides extended services, supports system administration, and provides additional information. When Centralized application is down, the system can still work, but the extended information will not be accessible. Occasionally, Ethereum network is overloaded due to too large number of transactions, which results in delayed execution of StartCall method of Smart Contract. To overcome this issue, a Lighning Network protocol is used to enable transactions in the Ethereum network, thereby minimizing transaction costs. 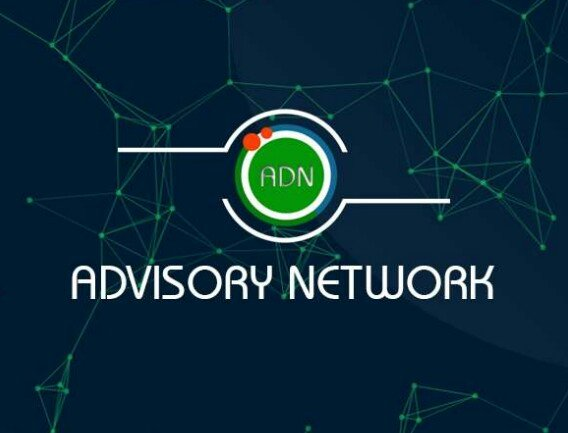 Advisory Network Hub: The mobile/desktop app enables the end users to easily search for online advisory services, view company profile, individual adviser information and call rates per minute, and finally make a voice/video call to the adviser. Advisory Network Management Platform: Back office system manages tenants (organizations, individuals who want to implement online advisory services), company profile and advisers as well as call costs. Advisory Expert: mobile/desktop app is for service advisers to receive and answer calls from end customers. 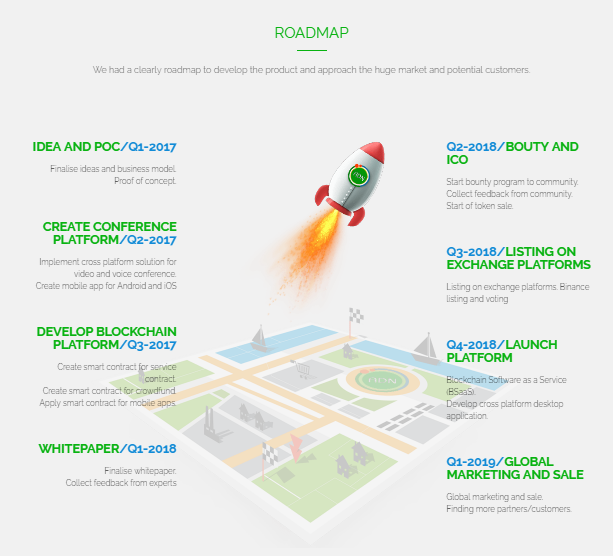 If Hard Cap of each period is reached sooner, next period will be taken automatically. If the Crowdsale campaign does not reach SoftCap, all funds will be returned automatically to the ADN holders by the Ethereum smart contract.